Painting is a beautiful art. It is as mesmerizing and rejuvenating as meditation. It demands similar amount of steadfast concentration and persuasion as it requires while practicing meditation. There are different techniques of painting using various tools, from brushes, to fingers to sponges. And there are so many types of canvases as well, our body being one of them. We all have heard about body painting but have we ever come across of painting with the tongue? 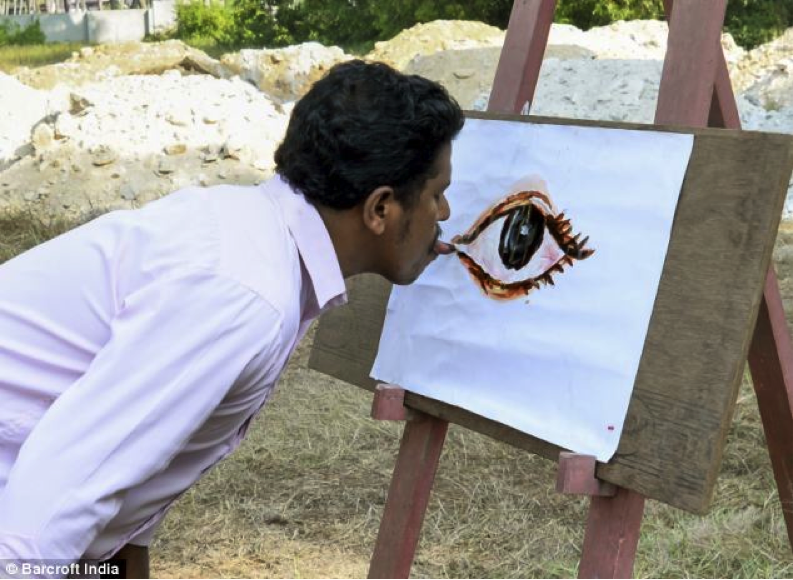 Yes, Mr. Ani K. from the state of Kerala devotes his time to paint with his tongue. Funny yet intriguing; Mr. Ani developed this habit of tongue painting when he considered doing something out of the box. 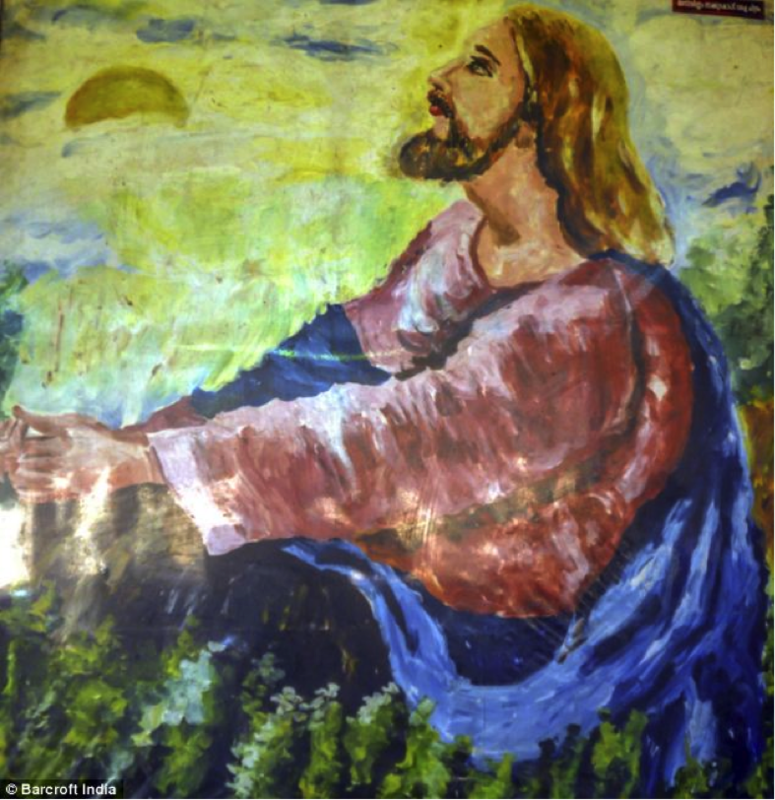 His attempt of using body parts for painting started with his nose. He gave up the idea soon when he discovered another nose painter. And hence, he went ahead to do the job with his tongue. One of the toughest aspects of tongue painting is the sheer amount of hours bent over the canvas and what’s even more commendable is Mr. K Ani might be the only person in the world who uses oil paints. We all are aware that oil paints are made from toxic chemicals. In the beginning even he suffered from bouts of nausea and headaches; although now, his body has succumbed to the change. And as far as the portraits are concerned, Ani’s work is pretty good and neat.